he Octopus II system is the latest product generation of the OCTOPUS equipment portfolio. The OCTOPUS II combines a couple of all-new, impressive and proprietary reactor and system design developments such as the IRFE technology for exceptional stable plasma conditions, the Mirror reactor concept for top and bottom deposition or the potential combination of the PECVD and PVD deposition mode in one system without any interruption of the process sequence. 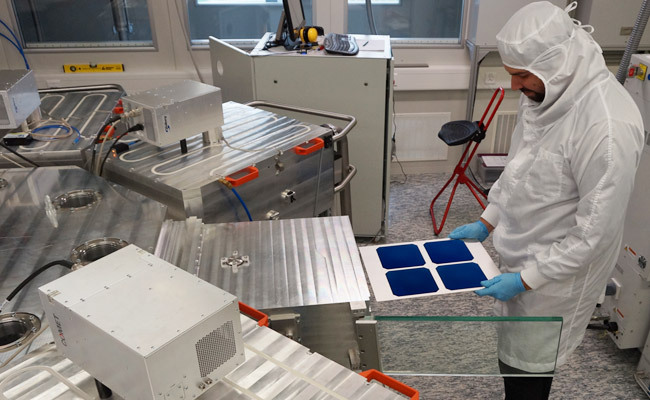 This set of innovations as well as the cluster platform concept provide an extraordinary high flexibility for many thin film applications, whether in an R&D environment or for pilot scale production purposes. Semi-conducting layers: a-Si:H, µc-Si:H, nc-Si:H, SiGe:H etc. AR and passivation layers: SiNx, SiONx, AlOx, TiOx, MoOx etc. TCO layers : ITO, AZO etc. Metal layers : Ag, Al, Cr etc. 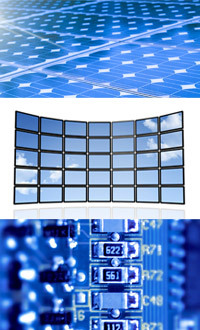 Optical coatings: Filters (Bandpass, IR, UV, Color correction) etc. For all stages of thin deposition processes, which enter the advanced development phase of statistical data assurance, the OCTOPUS II system unfolds its real power. Still keeping the footprint of an R&D tool, the system may be equipped with up to 7 process modules of identical configuration, thus enabling quick and easy small series scale-up and parallel processing (the same process per module at the same time).